Janette Sadik-Khan. Photo: Olugbenro Photography. Janette Sadik-Khan, who will be the keynote speaker at Bicycle Colorado’s Moving People Forward conference tomorrow, transformed New York’s streets with dramatic pedestrian improvements, 400 miles of new bike lanes and the repurposing of 60 asphalt plazas into park-like places when she was the New York City transportation commissioner under former Mayor Mike Bloomberg. 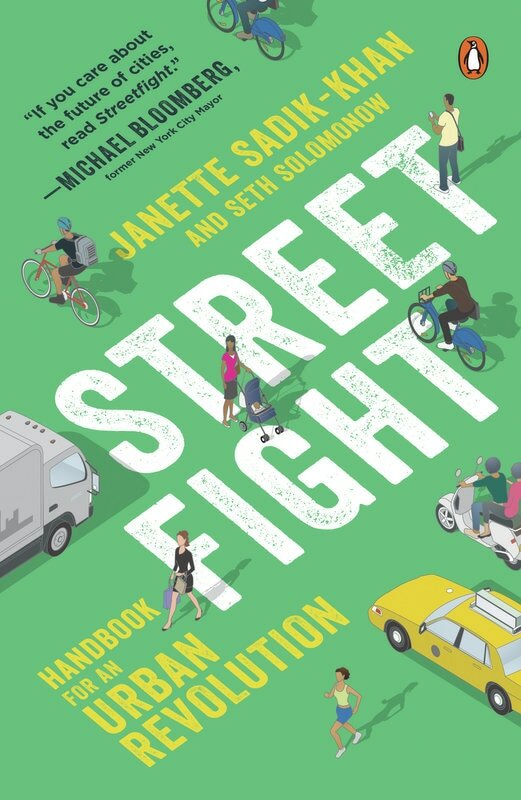 In her book “Streetfight: Handbook for an Urban Revolution” (official page) (Tattered Cover), she and co-author Seth Solomonow tell the story of how New Yorkers went from fighting changes to their streets tooth-and-nail to begging the city for better walking, biking and transit infrastructure. Today she advises mayors of cities around the world as a principal at Bloomberg Associates. Sadik-Khan recently talked to Streetsblog about what Denver can learn from New York as the mile-high city struggles to adapt its streets for a growing population. Andy Bosselman conducted and condensed the interview. A: It’s always a fight to change the streets of a city. Our streets were very much like your great grandfather’s streets. You think about all the things that have changed in our cities over 60 years: politically, socially, culturally. But our streets haven’t changed. To change a street is actually to take on a fight with people who naturally want the status quo. Navigating that fight is a part of the process. 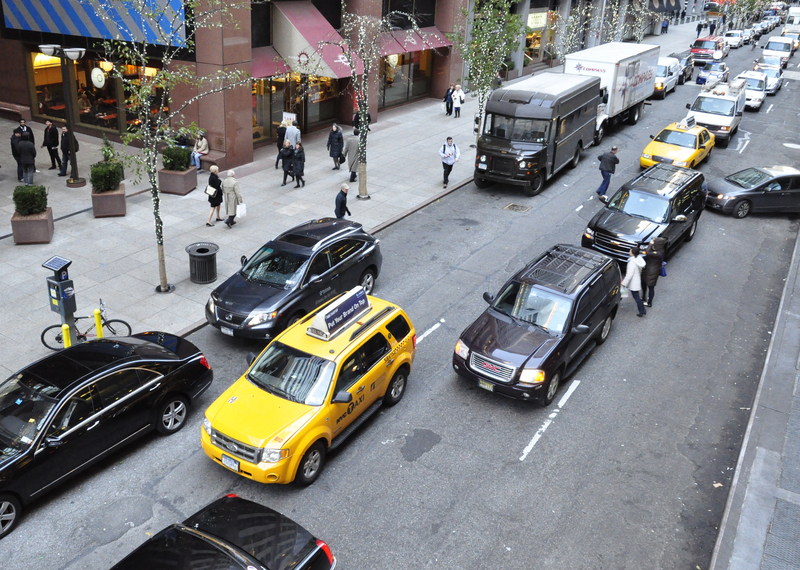 Before: To access a pedestrian plaza, people crossed 6th Avenue in New York in the middle of the block. Their behavior created “desire lines,” indicating where infrastructure failed to meet people’s needs. After: An inexpensive pedestrian refuge and crosswalk (paint and plastic posts) allowed the infrastructure to catch up with people’s natural behavior. Q: Denver’s population is up 100,000 in the last seven years and the city continues to grow. People complain about traffic. But 73 percent of trips are in a single-occupancy vehicles and we’re still expanding freeways. Why should people here join the street fight? A: You’re not going to build your way out of congestion. We have to face the fact that the way our streets are designed, it makes the decision for how residents are going to live and get around. 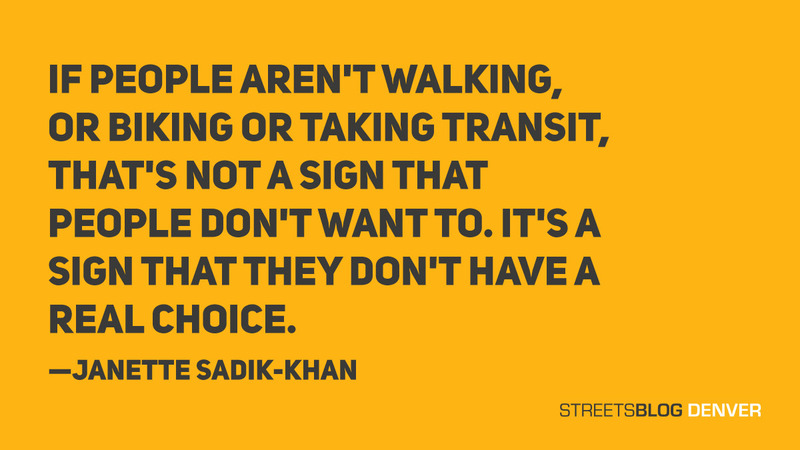 If people aren’t walking, or biking or taking transit, that’s not a sign that people don’t want to. It’s a sign that they don’t have a real choice. Instead of scratching our heads to figure out how to build our way out of congestion, we need to be thinking about how to offer people better alternatives. Sadik-Khan with then-Mayor Bloomberg. Photo: Traffic Management Center. Q: When you became transportation commissioner, Mayor Bloomberg’s administration was finalizing a long-term planning process known as PlaNYC. Denver is finishing a similar process called Denveright. How did New York’s plan help your work? PlaNYC set a vision for where New York City should be in 2030. How we could accommodate one million more people that were expected to move here by 2030. You were not going to accommodate a million more people by double decking our streets. So how are we going to get there? And still improve the quality of life in our neighborhoods and business districts? And reduce our greenhouse gas emissions by 30 percent? It meant that we needed to use our roads more efficiently and effectively. And that meant making it easier to walk, and bike and take the bus. Q: And getting that stuff done is where the street fight started? A: People said the changes wouldn’t work. That our streets were too congested. They were dangerous. 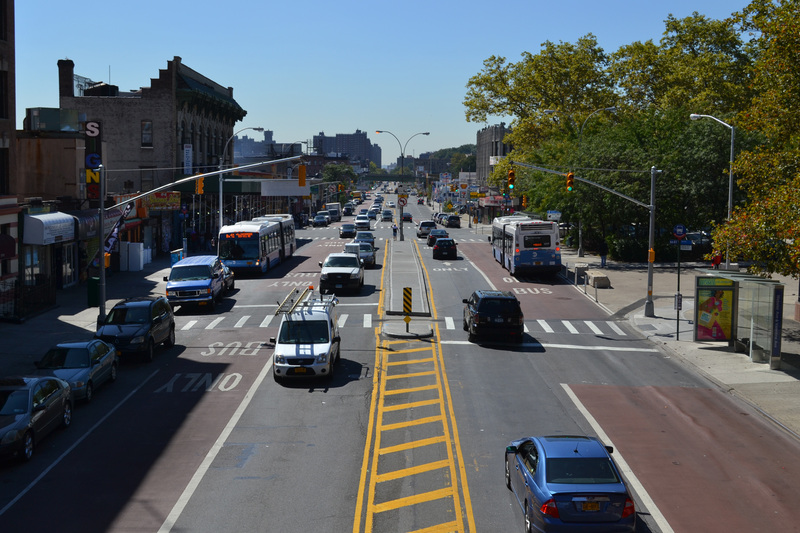 That changing our streets would block emergency vehicles, choke up traffic and hurt business. What we showed is that none of these dire predictions came true. Our streets [became] much safer. They were better for business. There’s no increase in congestion. And today there is a new status quo in New York. Q: But first, there was intense opposition, including the “Winter of Bike Discontent,” where the community groups and media repeatedly called for you to be fired. Can you talk about how important it was that Mayor Bloomberg stood with you through that? A: Mike Bloomberg appointed really good people and he’s stuck by them. He was a true political leader, he was politically very courageous. Not many politicians have the courage to challenge the status quo. 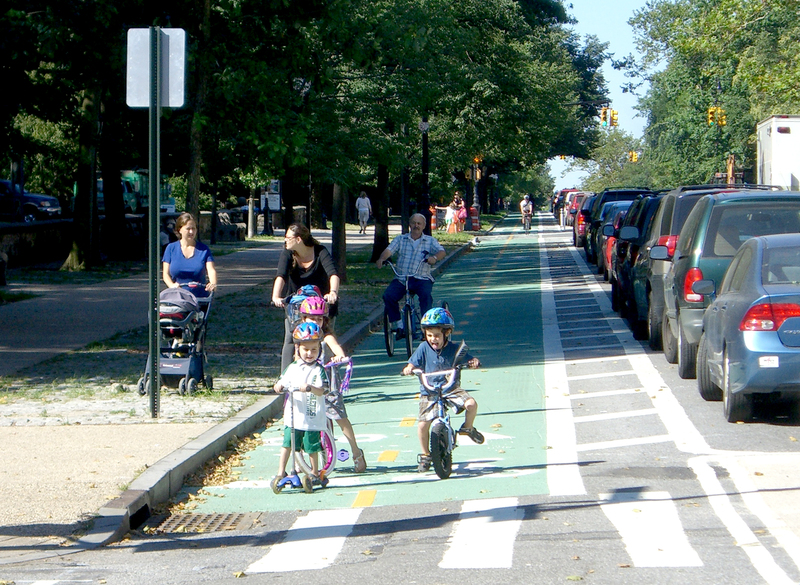 A parking-protected bike lane along Prospect Park West tamed the mean streets of New York so much that parents feel comfortable allowing their children there. Q: A term described in the book is “international bike opposition,” the idea that Americans can’t possibly create a bike-friendly city. People have trouble breaking the bike-brain barrier, that makes them think that streets can’t be used for anything but cars. A: He was a data-driven mayor. A data-driven man. A data-driven businessman. He used to say, “In God we trust. And everyone else bring data.” He trusted us to do the right thing. And we brought lots and lots of data along the way. When you have the data and you have the analysis, you’re actually able to show tangibly what has happened. Moving from having our streets governed by anecdote versus governed by analysis is really important. 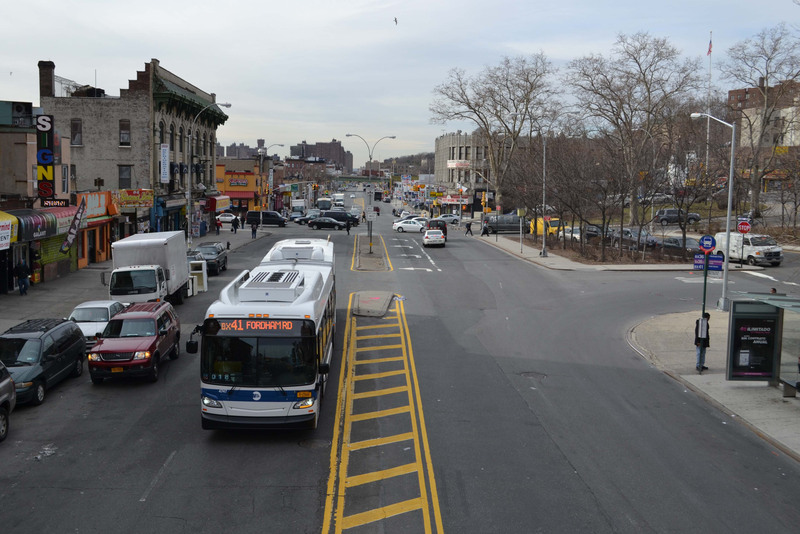 Before: New York’s notoriously slow bus service mixed with street traffic. After: New York sharply accelerated its buses with one simple tool: paint. This bus-only lane is on Webster Avenue. Q: You also wrote about how infrastructure projects often take years, but how important it was to move fast with inexpensive projects like using paint, planters and plastic posts to improve walking, biking and transit. We were able to move very, very quickly to show what was possible. One of the things that I talked about in the book is not only setting a vision, but also moving fast to show what’s possible. Instead of endlessly debating theoretical changes, try a project in the short term and see how it works. There is nothing more powerful than the proof of the positive. A: At the end of the Bloomberg administration you had 72 percent support for bike share. You had over 70 percent of support for the plazas. You had 64 percent public support for bike lanes. If that were an election, it would have been landslide. And since that time you’ve seen the bike share network has grown from 6,000 bikes to [one day] at least 40,000 bikes. We’ve gone from seven rapid bus projects to 14. We’ve gone from 70 plazas to over a hundred. 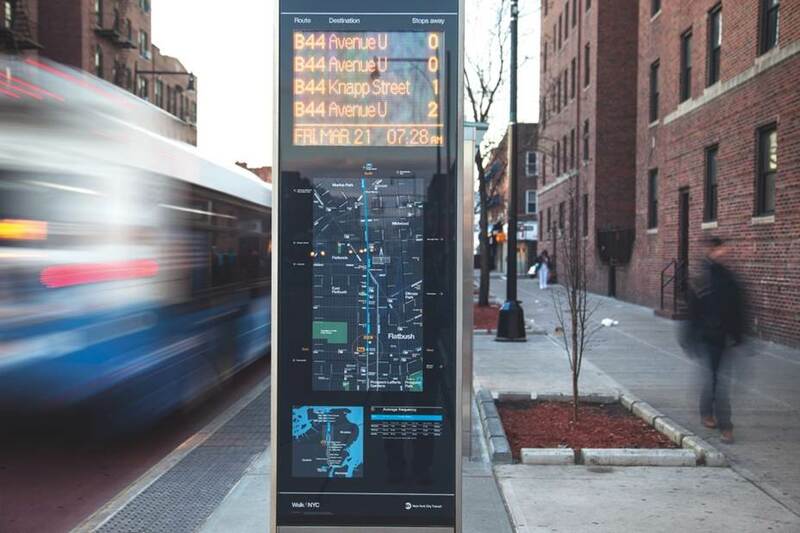 Signs like this at a bus stop improve transit ridership by letting people know how long they have to wait for a bus. A: Once we implemented [these changes, they turned] into application-based programs. So you could apply for a bus lane. You could apply for a bike lane. You could apply for bike parking. When we were done, there was a tsunami of demand for these kinds of projects and programs. The public is driving this change. They like these changes. They want these changes. Q: Are you familiar with any projects underway here? Denver is in a really interesting moment, they are doing so much right. 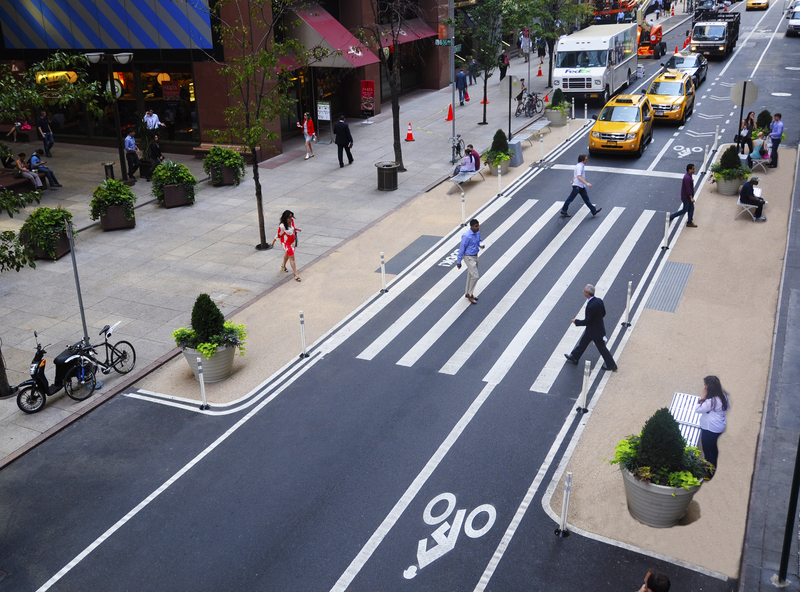 [Expanding the network of protected bike lanes with projects like Broadway Moves]. Those are the kinds of projects [showing that] drivers and cyclists and pedestrians can play well if they’re not fighting over scraps pavement. We’ve seen in city after city that there’s a new road order that’s based the idea that streets can be used for more than just driving. When our streets are designed like the Wild West for cars, and just don’t give anybody any space, or the space that they do get is scrap leftover, It’s really not the mark of a world-class city. Probably due to the fact now there is safe infrastructure to bike, scooter, etc. Buses are not needed for so many trips. I rarely use the bus in denver (never use a car), biking in particular is so much more efficient, if only more people knew this. And now there are no excuses anymore with e-bikes. In others, my guess is technology and better human infrastructure, is killing the bus (uber/lyft included), not people wanting to drive solo more.